As an agent appointed under your husband's power of attorney, you have authority to make either medical or financial decisions for him, depending on the scope of the POA document. 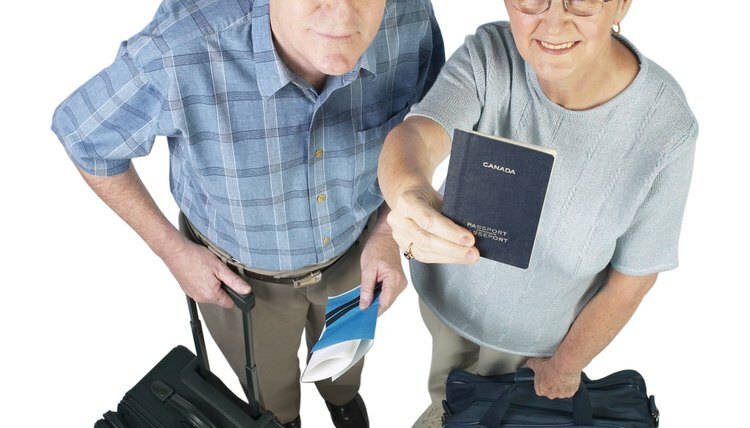 If you hold a durable power of attorney and your husband is incompetent, you may be permitted to renew his passport. A power of attorney, or POA, has nothing to do with lawyers. It is a legal document drawn up by a competent adult, the principal, appointing an agent to make decisions on his behalf about medical or financial issues. Forms are available from state courts and online legal service providers. The principal can limit the authority of the POA agent, but a general POA gives the agent the right to take any action the person could have taken himself. A durable POA is valid even if the principal becomes incompetent. Passports are renewed by submitting application forms issued by the U.S. State Department. If your husband is competent, he can sign his own passport renewal form. If he is incompetent, his guardian or an agent authorized under a power of attorney can execute the form for him. Be certain, however, that the terms of your POA don't limit your authority to make this decision. Can I Have Power of Attorney for My Parents in Signing for a Mortgage? A power of attorney can give you authority to conduct real estate transactions, including signing mortgage documents, for your parents. If your parents can’t sign their mortgage paperwork for themselves and your power of attorney contains the correct language, you may use the power of attorney to sign on their behalf. State laws vary on whether the power of attorney document needs to be recorded as part of the public record. All states require that custody decisions be made according to a child's best interests. Kentucky is one of only a handful of states that specifically itemizes factors judges should consider, including the emotional and physical health of each parent, the child's relationship with each parent, and any history of domestic violence. To sever visitation rights, you must demonstrate that doing so is in the child's best interests. A power of attorney for finances would allow you to manage your father’s money and other financial affairs when he is unable to do it himself. However, a power of attorney can only be signed when a person is competent. Thus, you may need to pursue another option, such as a court-appointed conservatorship, if your father is no longer competent to sign a power of attorney. Can a Person with My Power of Attorney Get Sued if a Credit Card Company Sues Me? How Do I Get a Power of Attorney After My Husband Has Died? Can a Mother or Father Obtain Power of Attorney if the Child Is Married?